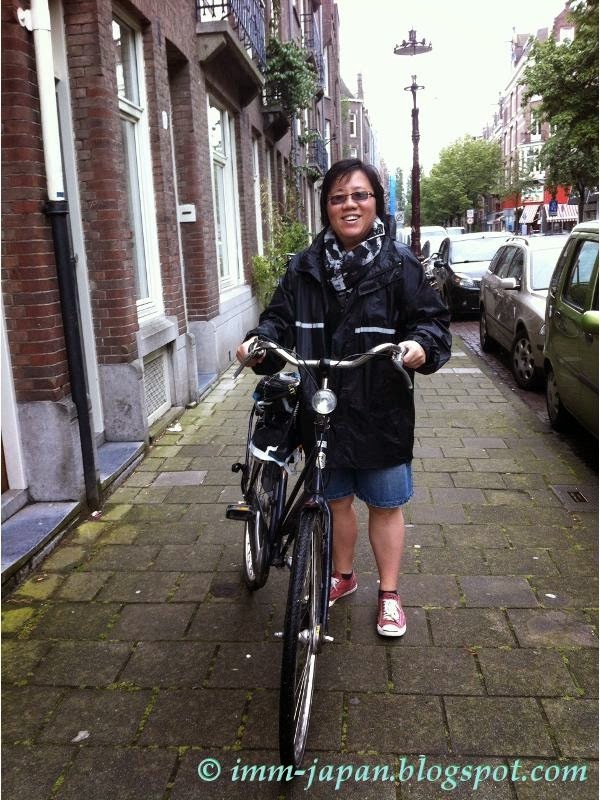 How could I have stayed in Amsterdam for 6 days and NOT cycled? 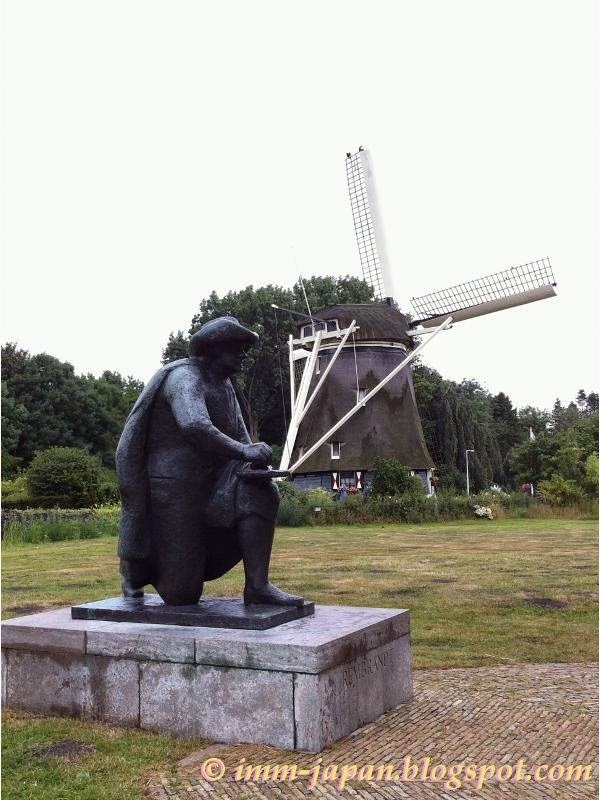 So my 2nd host in Amsterdam, Amy, took me riding along Amstel River, all the way to one of the many Rembrandt statues within Amsterdam and a nice windmill (actually, this is outside Amsterdam 'city'). It was drizzling and we almost didn't want to do it. But in the end, I decided 'what the heck!' cos how often do you get to have a local willing to take you bicycling, right? We avoided the city area because the bike I'm on was high, even for me. It belonged to a family friend of my host. I've always thought of myself as being tall, but being in The Netherlands, I'm short! The bike seat is higher than my waist! For the first time, I can't reach the ground with my foot/feet while seated on a bike. I tried to lower the seat but it was already at the lowest. Anyway, since I need to 'jump off' every time I stop, we decided to take the bikes to the outskirts and avoid the crowds. I've seen several bike crashes and accidents involving tourists in the city center, so I'm not going to be one of the statistics. It was a fun and leisure ride, we chatted during the ride as the roads we took were pretty deserted. We were the only ones on most of them. Nice scenery along the way, with trees, farms, canals and wide fields lining the sides in intervals. Along the way, we talked about lots of things, from religion to education to relationships to FB 'friends' to everyday stuffs.. Think it took us more than an hour to get there. There was a tourist bus there but left just as we were reaching. So we kinda had the entire place to ourselves.